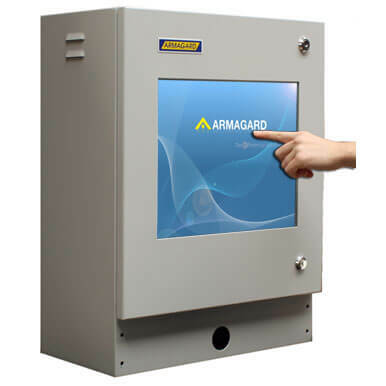 Compact Touchscreen Enclosure | Protective computer enclosure with integrated touch screen | Armagard Ltd.
A slimline enclosure with touchscreen monitor to protect desktop and tower PCs in factory environments. The PENC-350 can also be fitted with a 'wedge' membrane keyboard and mouse or supplied with a keyboard and mouse shelf. 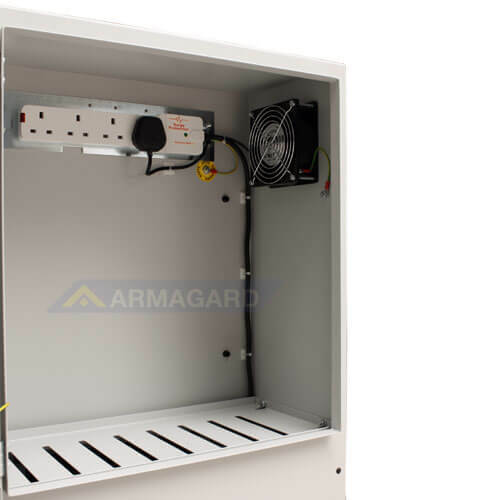 The integrated 17" LCD touch screen incorporates five wire resistive technology making it one of the most accurate and reliable touch screen available. The touch screen responds to activation by a gloved hand giving the user immediate interaction without interupting workflow to remove a glove. 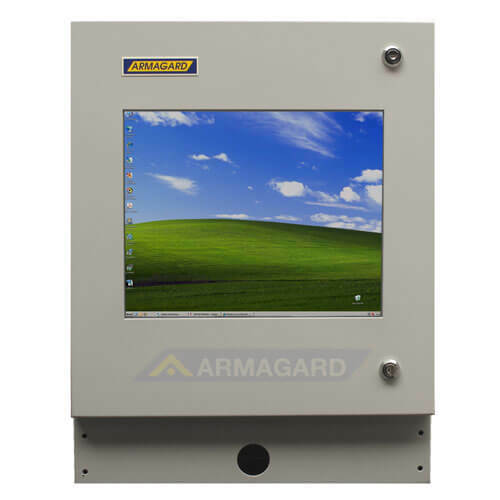 This IP54 touch screen is manufactured from powder coated mild steel and is resistant to dust, grease, dirt, heavy impacts and liquid splashes. 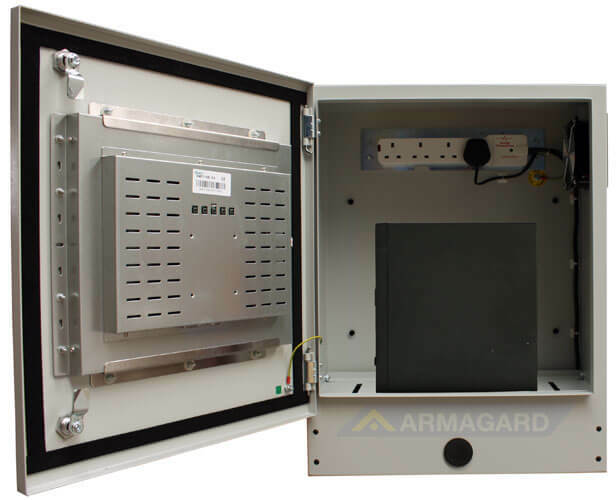 The PENC-350 touch screen enclosure is used throughout Europe by leading manufacturing and distribution companies. 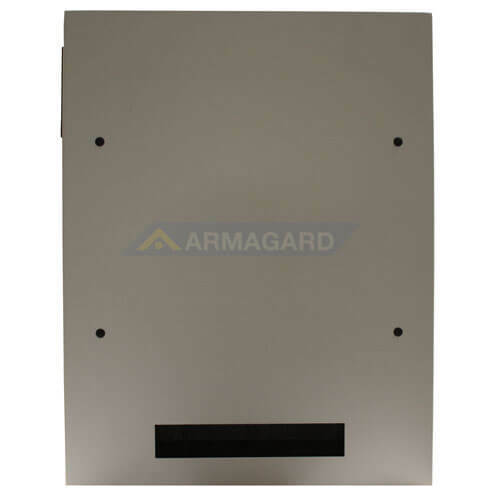 The PENC-350 compact touchscreen enclosureis the perfect solution for computer use on factory or shop floors where space is of concern and a conventional mouse and keyboard is not practical.